If you’re a home business owner and your home is also your place of work then chances are that at some point you’ve asked friend Google for a post box finder so that you can locate the whereabouts of the closest drop box because the one that used to be conveniently close by is no more. If you’re a US home business owner in particular you’ve probably done this rather more frequently than most – anyone seen that blue mail collection box recently? Chances are you’ve also discovered the closest one is miles away and you also can’t just drive by and conveniently pop your mail in as you go past because it’s at some ‘park and walk to it’ location. If your business is also an e-shop or mail order one doing regular bulk mail outs, parcel and courier pickups then the logistics of trying to run this side of your business under the above circumstances as well as everything else that needs doing is probably doing your head in. But … here’s a thought. Instead of asking Google for a list of mail drop boxes ask for a list of mail drop companies. This will net you a list of commercial mail receiving agencies (CMRAs), companies that provide mail receiving and mail forwarding services. Some do little more than that but others offer a host of mail and logistical related services like email, dedicated phone and fax lines, fax and bulk postage as well as supplies. These services can take on all your logistics requirements, leaving you free to do what you do best, which is run your business. Globally, a CMRA is also an ideal way to establish a local business presence in other countries without having to move there to do it. 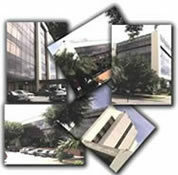 Conveniently close to the US, Costa Rica for instance has CMRA service providers. Next post Mailbox Locations – Do They Make Going Global Easier?